My love affair with biodynamics began in 2005 when much of my work and training involved the late Peter Proctor. 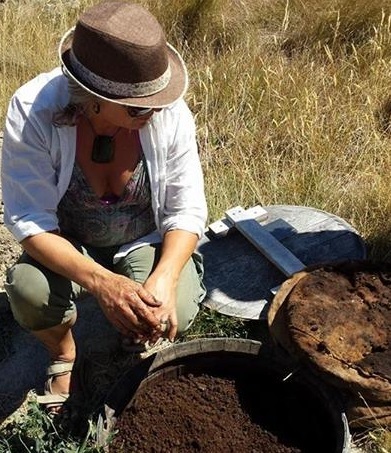 During the same year, I embarked on the life-changing course at Taruna in Hawkes Bay, gaining a certificate in Applied Organics and Biodynamics. Since then I have been actively practicing biodynamics in viticulture, home gardens and on a mixed farm. 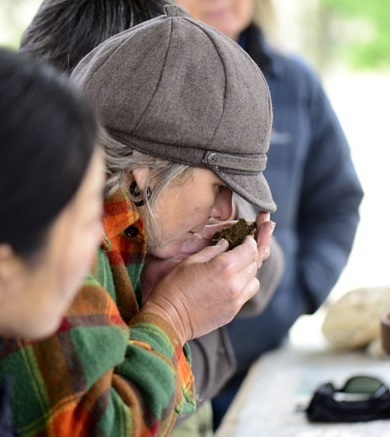 I facilitated the Taruna course when it was brought to Central Otago in 2012 and set up The Biodynamic Community Otago Charitable Trust on the strength of the fast-growing interest in holistic land management in the area. The group holds informal discussions, runs workshops, demonstrations, and seminars, providing support for new and existing BD practitioners. In 2018, I and a team of members from this group coordinated the National annual conference. Having recently completed a three-year term on the New Zealand Biodynamic Associations Council, I have been dedicating much of my free time to a local community food forest and allotments where I hope to share my knowledge and passion for what I believe to be the missing link to essential nutrition for human evolution.